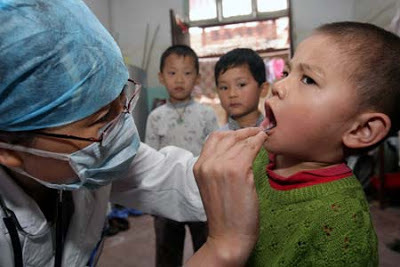 China has at least 200,000 'missing' pediatricians, because the growing need for pediatric medical services has not been matched by increases the number of paediatricians, lsays Professor Zhu Zonghan, vice president of the Chinese Medical Association and president of the CMA's pediatrician branch. Speaking at a meeting of the CMA paediatrics bench in Changsha this week, Professor Zhu said there was severe asymmetry in paediatric needs and services and "the establishment of the Paediatric system with Chinese characteristics is necessary." He said that of China's total population of over 1.3 billion, about one-fifth of the proportion of children. However, the country only has 68 children's hospitals, accounting for 0.42% of the national medical institutions. There are only 258,000 paediatric beds representing 6.4% of total hospital beds in the country. There is also a serious shortage of the pediatrician human resources, and a lack of any long term training program. Over the past 15 years, thenumber of paediatricians has increased by only 5,000 nationally, says Professor Zhu. It is proposed that the creation of a Chinese College of Paediatics and Child Health will help to alleviate the lack of pediatricians. Institutions such as the Hunan Provincial Children's Hospital of Nanhua University, are leading the way in developing graduate and undergraduate training programs in pediatric medical services.